"Do you like to read new books? Do you like to see new people? 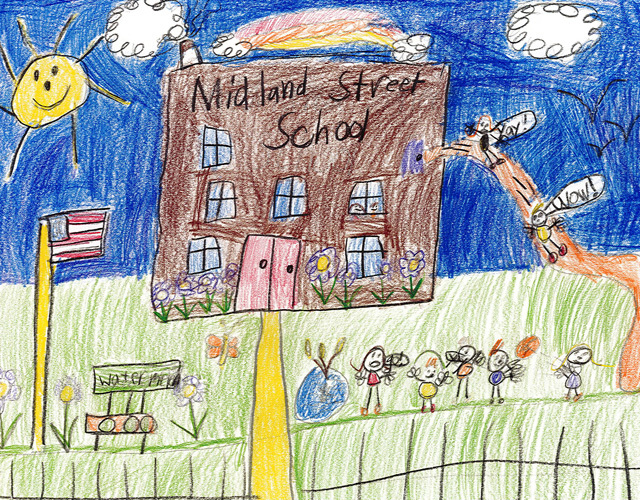 Well, Midland Street School has all that stuff! It is very ideal and I like that. There is a teacher named Mrs. Snow and she’s silly! She is always kidding us! We read fun books at our school. I LOVE BOOKS! We do fun math games with partners. This is an ideal school!"